get market niche. The accountant can provide durations for tasks such as forecasting financial returns, setting up the accounting system, and obtaining needed insurance. Team members ready to work on the project can also provide duration estimates for tasks based on their previous experience as well as their projection of how long they expect the tasks to take for this particular project. Expert judgment If you don't have a team in place yet from whom you can get durations, or if you want reliable input from impartial specialists in the field, you might call upon experts such as consultants, professional associations, or industry groups. These can help you establish task durations. 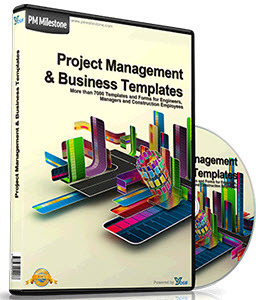 Project files Similar projects that have been completed can be an excellent source of durations. If Microsoft Project files are available, you can see the initial durations. If the project manager tracked actuals diligently throughout the life of the project, you have valuable information about how long certain tasks actually took, as well as any variances from their planned durations. Industry standards Historical duration information for tasks typical to an industry or discipline is sometimes available commercially through professional or standards organizations. You can adapt such information for tasks and durations to fit the unique requirements of your project. You might use a combination of these methods to obtain durations for all the tasks in your project. It's often very useful to have durations based on established metrics. For example, suppose that you know the industry standard for the number of hours it takes to develop certain types of architectural drawings as well as the number of those drawings you need. You can multiply these figures to develop a reasonable duration for your specific task.